Former NFL tight end Aaron Hernandez is already serving a life sentence for murder. He is currently on trial for a double homicide that occurred in July 2012. Boston.com reports that prosecutor Patrick Haggan told jury yesterday that the double shooting was a result of a spilled drink. Hernandez became furious at a Boston nightclub when one of the victims bumped into him while dancing. The victim smiled at Hernandez. Shortly after, Daniel de Abreu and Safiro Furtado were gunned down in their car at a stoplight. Another man in the car with the victims was wounded. Reports claim that Hernandez and his friend, Alexander Bradley, were in the club for only 10 minutes that night. Surveillance from outside the club shows Bradley trying to calm Hernandez. 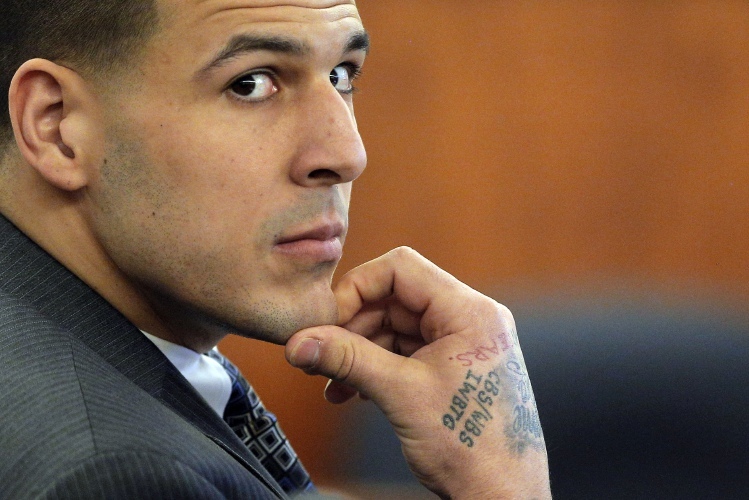 Prosecutors believe Bradley will admit that Hernandez shot the victims when he is brought up to testify. Bradley was shot in the eye at point blank range when he made the mistake of mentioning the shootings.